Here’s a news release with details about the interviews for a chance to be in my upcoming book Growing Up St. Louis. 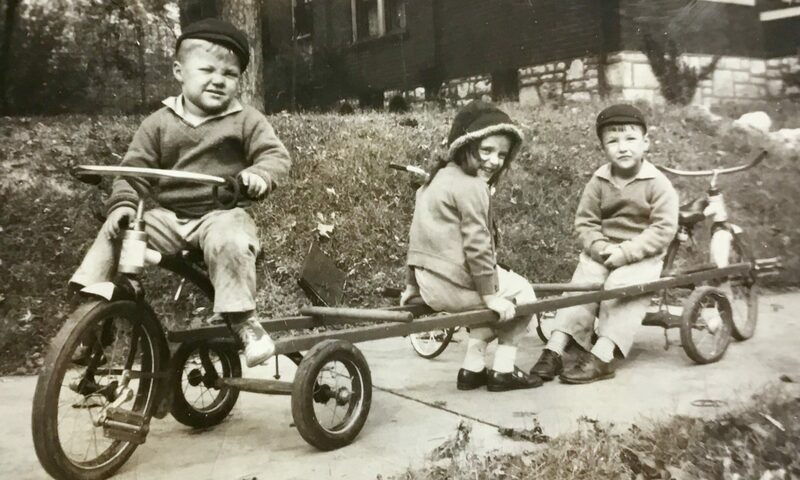 What was it like to grow up in St. Louis in the 1920s? In the 1960s? In the 1990s? Local author Jim Merkel plans to find out. He’s interviewing 100 people who grew up in the area for his upcoming book Growing Up St. Louis. Saturday, Oct. 4, 10 am to 6 pm at Buder branch, 4401 Hampton Ave.
Reedy Press, which publishes Merkel’s books, and the St. Louis Public Library, arranged the sessions. “I’m excited to be part of this unusual partnership to gather stories of childhood in St. Louis since the start of the 20th Century,” he said. Interviewees will fill out questionnaires about their childhood, sign a legal release and write briefly about a favorite memory. Then Merkel will have a short conversation with them. At the end of October, Merkel will choose people for full-length callback interviews in November and December at the Carpenter Branch. Factors for selection will include how they add to the demographic mix of participants, how compelling their stories are and how they show the unique experience of growing up in St. Louis. No appointments are required, and interviewees needn’t be city residents. They may also represent another person they want to be in the book, such as a 100-year-old grandmother. Growing Up St. Louis will consist of 10 chapters: the first two decades of the 20th Century, followed by each decade up to 2000, and 2000 to the present. A longtime St. Louis journalist, Merkel has written Hoosiers and Scrubby Dutch: St. Louis’s South Side; Beer, Brats, and Baseball: German-Americans in St. Louis; The Making of an Icon: The Dreamers, The Schemers, and The Hard Hats Who Built the Gateway Arch; and The Colorful Characters of St. Louis. The Late Greatn Country and Gospel Singers Slim and Zella Mae Cox do their stuff at the release party for “Hoosiers and Scrubby Dutch” on Oct. 3 at the Feasting Fox Restaurant. They were two of the people I wrote about in the book. It’s been nearby seven years since the release party for “Hoosiers and Scrubby Dutch: St. Louis’s South Side.” I’ve had events to celebrate the publication of three more books, plus two second editions. I’m looking forward to the launch of “Growing Up St. Louis” at the St. Louis Public Library’s Central Library. Yet in some ways, the release party for “Hoosiers and Scrubby Dutch” still is my favorite. There’s something about doing it again. But back then, the idea of writing a book was fresh. There was a certain excitement, which pictures by my friend Jerry Bielicke clearly show. Take a gander, and see if you agree. Thanks again, Jerry! Placed on tables, this reflected the “Scrubby Dutch” of my book. This blurb by the St. Louis Public Library is self-explanatory. I’ve already interviewed 48 people for Growing Up St. Louis. I want to hear your story, too. Come out and share your memories with me.